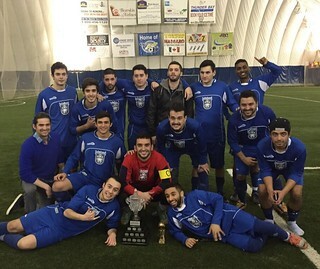 The Lakehead Thunderwolves men’s club soccer team were crowned champions of the city’s Premier Soccer League (PSL) following the championship game on Wednesday, April 22. The Thunderwolves finished the regular season with a record of 9 wins, 3 ties, and 8 losses, good enough for the fourth and final seed in the playoffs. In the semi-final game, the ‘Wolves pulled off a huge 1-0 upset win over the #1 seeded Rainbow Realty by virtue of a goal scored by Thiago Goncalves with 2 minutes remaining. The LU men’s soccer club kept that momentum rolling into the championship game against the Thunder Bay Chill Reserves. After trailing 1-0 at the half, Lakehead scored three times in the second (25 minute) half, getting goals from Haidar Hatoun (‘35), Thiago Goncalves (‘46) and Arthur Amorim (‘49). 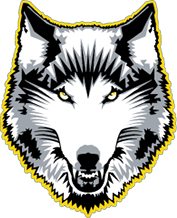 This is the first time that the Lakehead club team has won the city’s PSL championship, which features the elite soccer players in Thunder Bay aged 17-40, with the Thunderwolves’ team made up of students aged 18-25. Lakehead’s Angelo Neto was named as the league’s best goalkeeper for the season. Lakehead men’s soccer club will resume with try-outs, the second week September. For more information about Lakehead men’s soccer, contact coach Eraldo Vero (evero@lakeheadu.ca).